A more contemporary service. Choir and music support the elements of the service. Sunday School provides children a chance to participate in both Sunday School and our Worship Service. 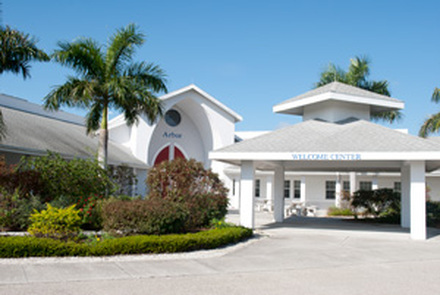 The Arbor houses our more intimate sanctuary for worship. It also houses the offices of the Pastor and the staff. A conference room is available for small meetings. 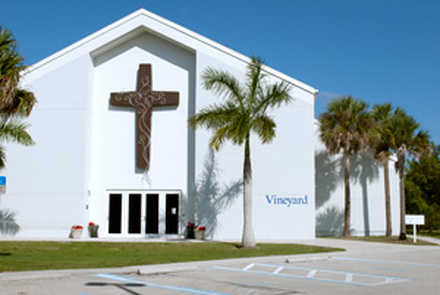 The Vineyard is our largest building and is designed for multiple purposes. 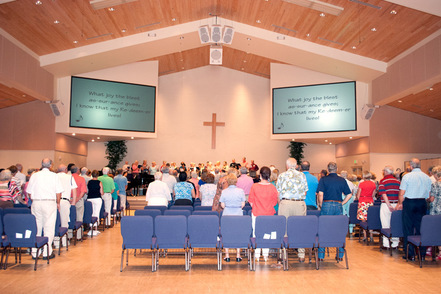 On Sundays it is used for the 10am Worship service. During the week, it houses several classrooms for Preschool at the Lamb. We offer various Adult Education programs at Lamb of God. 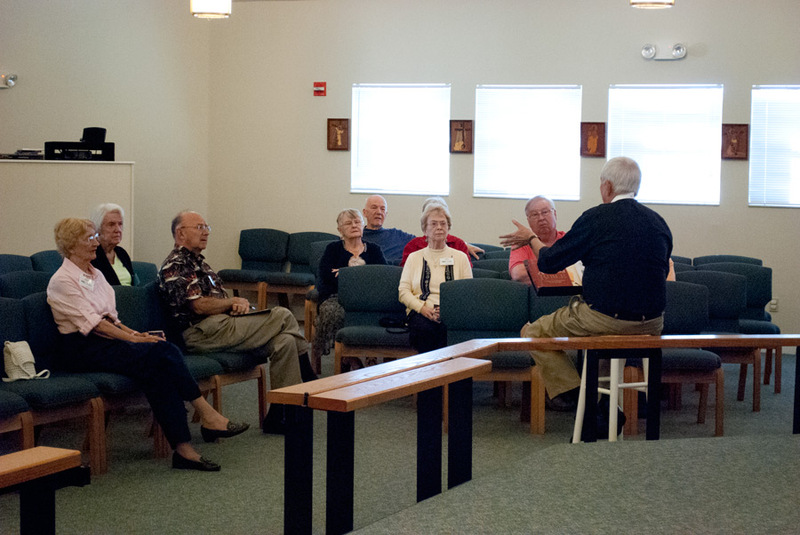 We have had various book studies on Sunday mornings between services, and we have a variety of weekly meetings. 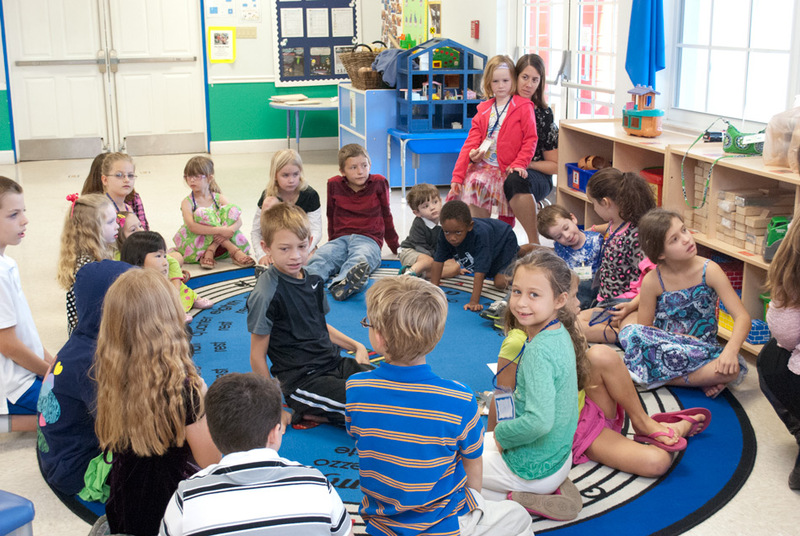 Sunday School is an activity-filled time for children to play and learn. We invite all children from 3 years old to 5th grade to attend Sunday School during the 10:00 am service. Infant to age 3 children are welcome to visit the Nursery during the 10:00 am service every Sunday morning. Holy Communion is offered to all people at every service regardless of background or where they are on their journey of faith. When you arrive, you will be greeted by members of the congregation. We have a Welcome Desk where you can learn more about current happenings and/or the church. First time visitors are welcomed and given a packet of information on the church. Each week, we worship and learn together. 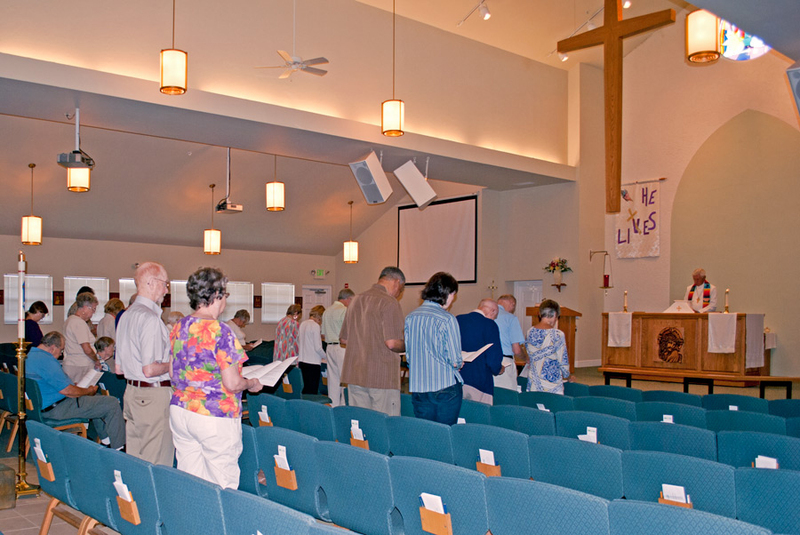 We participate in communion every Sunday, and fellowship after service at Coffee Hour. What do I wear to services? In keeping with Southern Florida resort living, you will find a mix of casual attire as well as more formal church wear. In short, please come as you are. Communion is practiced at both services each Sunday. We offer an Open Table where everyone is welcomed, regardless of your faith tradition and where you are in your walk with God. We have de-alcoholized wine, bread and gluten free wafers. 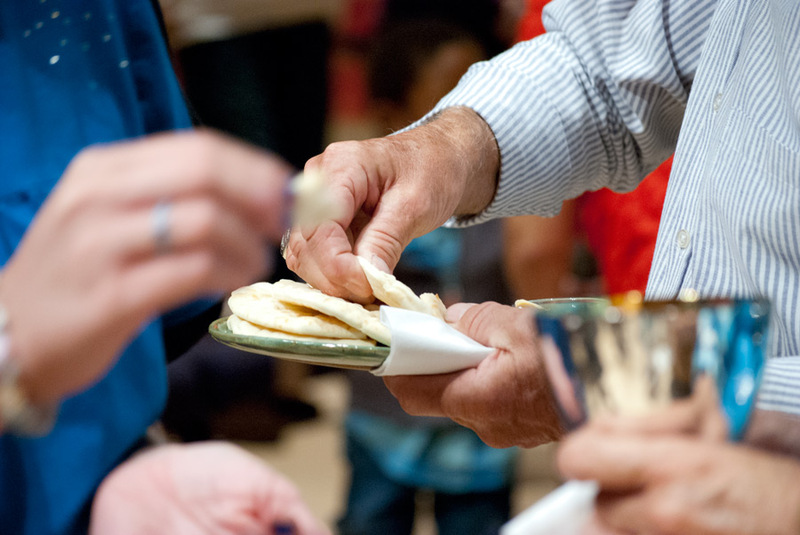 Common practices include dipping the bread or wafer into the chalice, as well as drinking straight from the chalice..
Communion is administered in stations with an usher guiding you to the right place at the right time. Children of all ages are welcome. 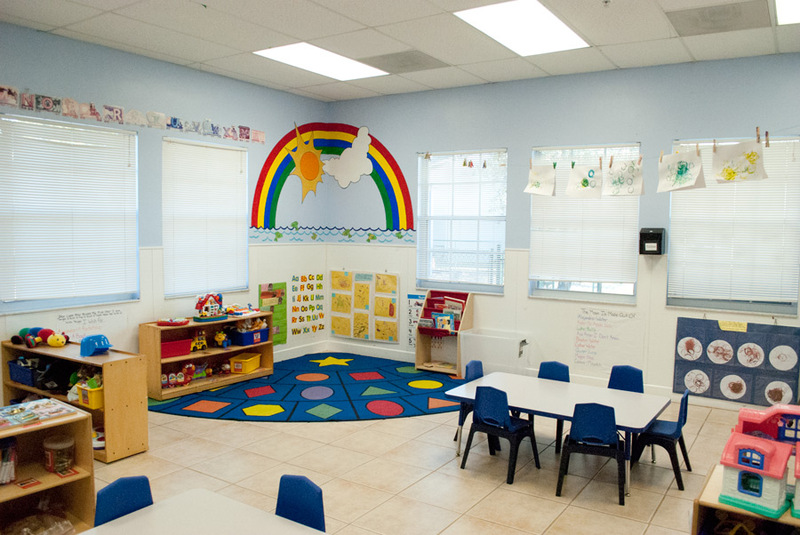 We offer a Nursery for small children and infants. If you’re children are 3 years old to 5th grade, they are welcome to join in Sunday School during the 10:00 am service. Our Sunday School teachers will provide a lesson for the kids while you’re in church. After the sermon, the children join the adults for Children’s Message, where they share what they learned, then return to sit with their families for Communion and the Closing.